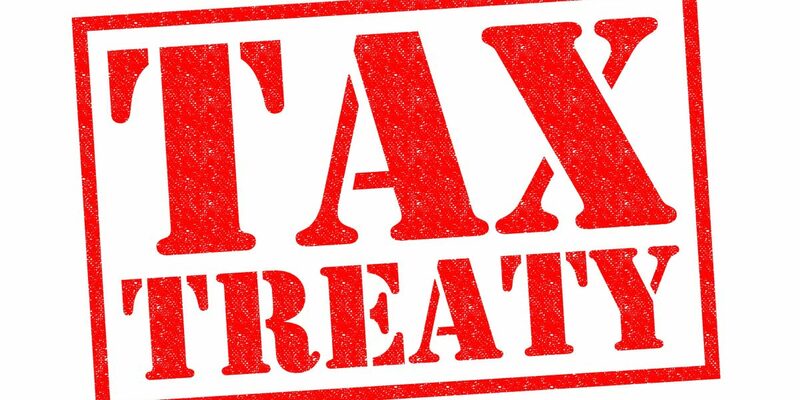 Double Taxation Treaties (DTTs) are legal mechanisms between countries which ensure individuals and companies do not pay tax twice on the same trade, asset or income in both the country of source and that of residence. As such, if a British person who is tax resident in Spain holds assets in the UK, the DTT prevents both countries taxing the same capital value and/or income of that investment, property or savings account. A system of ‘tax credits’ also exists whereby any withholding tax paid in one country can be reclaimed in another. An example of this is the relationship between Spain and Gibraltar, which has no Double Taxation Treaties with any country. For instance, any withholding tax paid in Gibraltar on pension income from a QROPS can be offset against Spanish income tax. Although the existing system of tax credits seems to function reasonably well for now, it is unclear as to how such an arrangement would work post-Brexit. If this agreement became a casualty of Brexit, Gibraltar QROPS holders would need to think about moving their scheme to another country with a DTT which would still be in force after March 2019. Malta is the most logical option in such a circumstance, as they actually do have a DTT with Spain. The DTT would ensure that no tax is payable in Malta when someone takes pension benefits in Spain. This would also be the case for lump sum withdrawals and Inheritance Tax. It should be noted that lump sum withdrawals from foreign pensions will most likely be taxed in Spain; care therefore needs to be taken to avoid any unexpected tax bills. At least for the time being, the UK is also a valid territory for holding pension benefits as a similar DTT exists between the UK and Spain. As both Malta and Gibraltar are members of the European Economic Area (EEA), QROPS transfers to these jurisdictions qualify for the exemption highlighted in the recent Overseas Transfer Charge (OTC) regulations. In short, if the individual does not move outside the EEA for 5 full tax years after the pension transfer, the OTC of 25% of the fund will not be applied. There are many issues arising from this situation as it may be impossible or undesirable for someone to remain within the EEA. The OTC legislation was initially designed to catch those who retire to a country with a very low or zero tax base. The ‘law of unintended consequences’ may come into play for other retirees in such a country who have not deliberately chosen this path for tax reasons. They may find themselves caught in a tax trap that was not of their own making! One solution would be to transfer to an International SIPP (Self Invested Personal Pension) rather than a QROPS. International SIPPs will always avoid the OTC as they are physically based in the UK. The ‘international’ element is to an extent simply a marketing term. However, these products are generally offered by companies already in the global marketplace who understand the needs of international clients and advisers. An International SIPP can be invested and denominated in a currency which is more relevant to the plan-holder. For someone retired in an EU country, it would make sense to be invested and denominated in Euros. There would be no DTT issues and no additional taxation unless the Lifetime Allowance limit of £1m is about to be, or has already been exceeded. There are certain tax planning strategies that can help with such a scenario. As things currently stand, the UK will leave the EEA and the EU in March 2019. If this does indeed turn out to be the case, the question of whether the OTC will apply is unclear. One train of thought is that any charge made on someone resident in an EEA country would be against the spirit of the DTT. It should be noted that the OTC is not called the Overseas Transfer Tax, which would imply that a DTT would automatically protect transfers. The use of the word ‘charge’ would therefore appear to be deliberate. The wording used by HMRC to define the EEA exemption is as follows: “the member is resident in a country within the European Economic Area (EEA) and the QROPS is established in a country within the EEA.” This implies that the OTC will never be levied on those who live or retire in an EEA country and transfer to a QROPS. As a result, QROPS should still be a viable option for EU/EEA transfers; the wording does not imply that this exemption would be lost if the UK leaves the EEA. Further afield, the situation relating to UK pension transfers for people living or retiring in the US can also be potentially complicated in that there are effectively 2 tax regimes, both Federal and State. For example, the DTT between the UK and the US states that pension rights should be treated the same way for individuals transferring between both countries. Such an interpretation is derived from a Federal perspective. However, individual States often have their own tax rules. These may stipulate that tax be paid on the 25% tax free pension commencement lump sum offered by UK schemes. Everyone’s personal situation is unique. Any recommendations should therefore be considered in the context of an individual’s life, financial and health circumstances. Des Cooney is a renowned International Pensions expert with over 27 years experience in pension and wealth management. His main specialty is in the transfer of UK pensions to QROPS and International SIPPs.